Can you imagine how language would be if we always used the same words when speaking, reading and writing? If everything (person, place, object…) in the world had only one word to refer to it, the world would be a very boring place. Well, in order to make language a lot more expressive and interesting we should try to vary the words we use as often as we can (but not too often). That’s where synonyms come into the picture! The word synonym is a composite of two Greek words: The prefix “syn” means “together” and “onym” is “name.” Synonyms- naming the same thing. In other words, synonyms are words or phrases which share the exact same meaning or a very similar meaning. Words from any part of speech (e.g. nouns, verbs, adjectives, adverbs or prepositions) can have synonyms, as long as they both have the same part of speech. 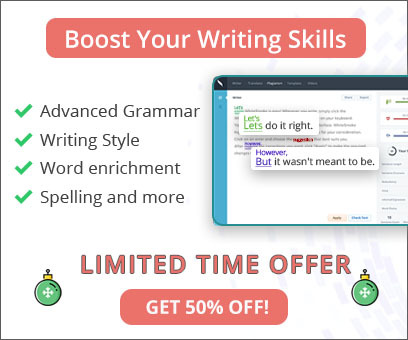 When replacing a word with its synonym, make sure the meaning of the sentence in the specific context is maintained as well. Synonyms are defined according to certain senses of words. This is my senior year at University. Senior in this sentence cannot be replaced with the words elder or older, since the meaning of the sentence will change and will make less sense. However, senior in the sense of fourth year can be replaced with the word last and the meaning will remain the same as in the original sentence. Good speakers and writers often vary their vocabulary and so can you! The best way to expand your vocabulary is to use a thesaurus. A thesaurus is a source that provides you with a listing of similar or related words you can choose from in order to vary your word choice in your text. 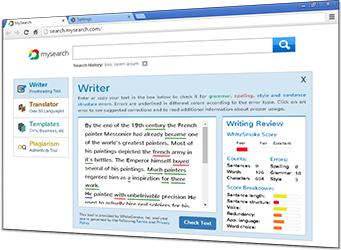 You can also try WhiteSmoke's free online dictionary, which offers you synonyms (and antonyms!) for any word you enter.